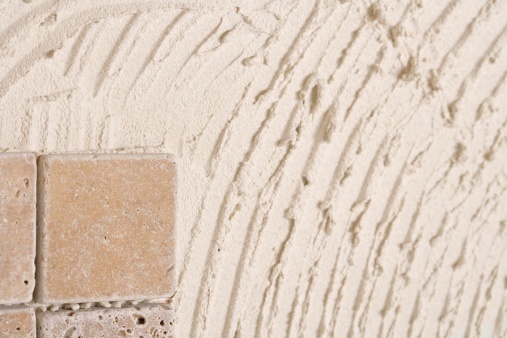 Terra-cotta tiles, like ceramic tiles, are created by firing clay in a kiln. However, terra cotta is left its natural color, while ceramic is typically treated with a glaze coat that makes it impervious to soil and liquids. Terra-cotta tiles, usually 6 inches square, are reddish-brown. One variety of terra-cotta tiles is used in kitchens because it is given a slip-resistant surface. 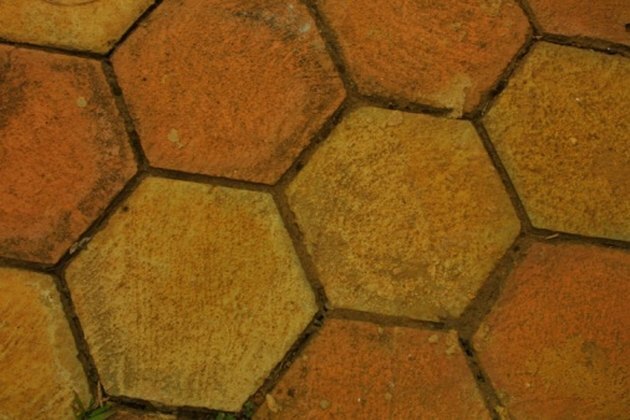 To apply lasting coverage to terra-cotta floor tiles, the floor must be thoroughly cleaned and correctly primed, painted and coated. Thoroughly clean the tile. There may be mineral residue, grease, or other dirt trapped in the porous tiles. Scrub the tiles with a brush and distilled or purified water, to avoid adding mineral residue from tap water. If necessary, use a trisodium phosphate cleaner according to manufacturer directions. Avoid the use of abrasive cleaning methods or materials like strong acids, high-pressure water, or metal-bristled brushes. Dry the tile using a wet/dry vacuum. Apply an acrylic masonry primer to protect the finish. Several paint companies offer a variety of masonry primers. Use a roller or brush, and apply the primer according to manufacturer directions. Apply a semigloss or high gloss acrylic or latex paint. Follow manufacturer directions. Let the paint dry for two to three days, then coat the floor tiles with clear, non-yellowing, water-based urethane or polyurethane.